SAMPLE SOUND REVIEW: Orion 32+ Gen3 - 32-channel USB AD/DA Converter- Out Now! Orion 32+ Gen3 - 32-channel USB AD/DA Converter- Out Now! Connects seamlessly with any DAW on PC or MAC. 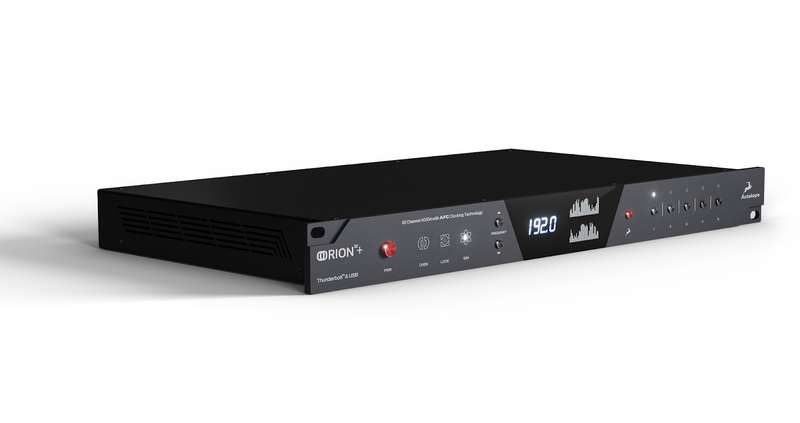 Orion32+ | Gen 3 features low-latency recording & playback of up to 64 simultaneous 24/192 audio channels via Thunderbolt™ and up to 32 channels over USB. The sleek single rack space unit features 8x DB25 connectors for Analog I/O. Digital connections are 1x MADI, 2x ADAT, and 1x S/PDIF. Ready? Set? Get rocking! Orion32+ | Gen 3 includes six premier essential audio effects from the Antelope library, which run in real-time on an ultra-fast FPGA platform. Covering a wide variety of tracking and mixing uses, each effect boasts mastering grade precision and clarity – from the Clear Q linear EQ to the spacious and advanced AuraVerb. These six tools alone cover all your essential mixing and mastering needs. 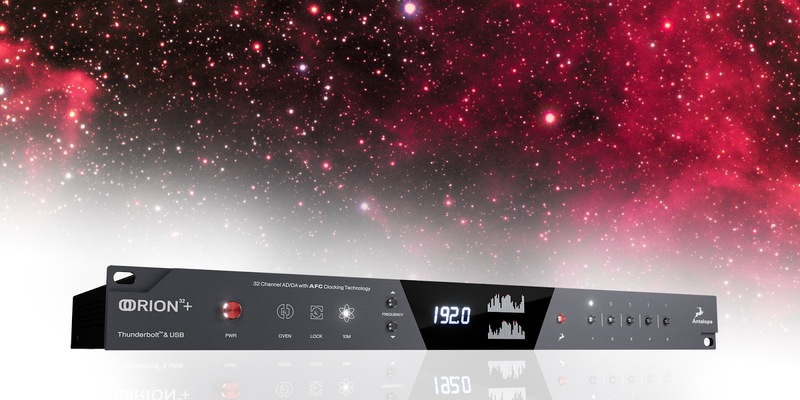 Antelope Audio is known over the world as the premier audio clocking experts. This legend lives on thanks to our next-generation 64- bit Acoustically Focused Clocking technology & jitter management algorithm. A pair of Word Clock outputs turn the Orion32+ | Gen 3 into a world-class Master Clock for your entire studio, while a 10MHz input allows for use with the best possible stability using Antelope’s legendary 10M & 10MX Atomic Clocks. With it’s brand-new AD/DA converters achieving up to 129dB dynamic range (Monitor Outs), Orion32+ | Gen 3 continues our reputation for pristine conversion quality. Hear the true sound of your music with both digital clarity and analog warmth.